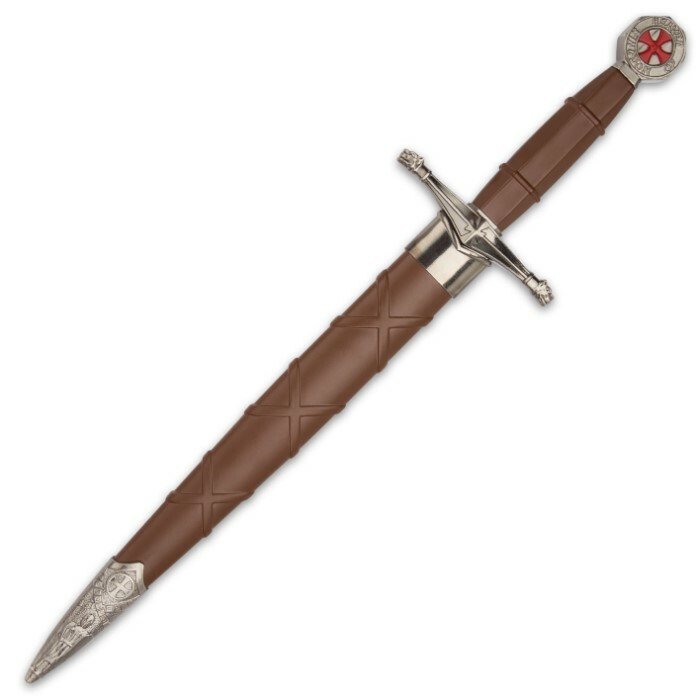 Expand your Crusader Era collection with the Crusader Sacred Duty Dagger, a fine historically inspired display dagger. 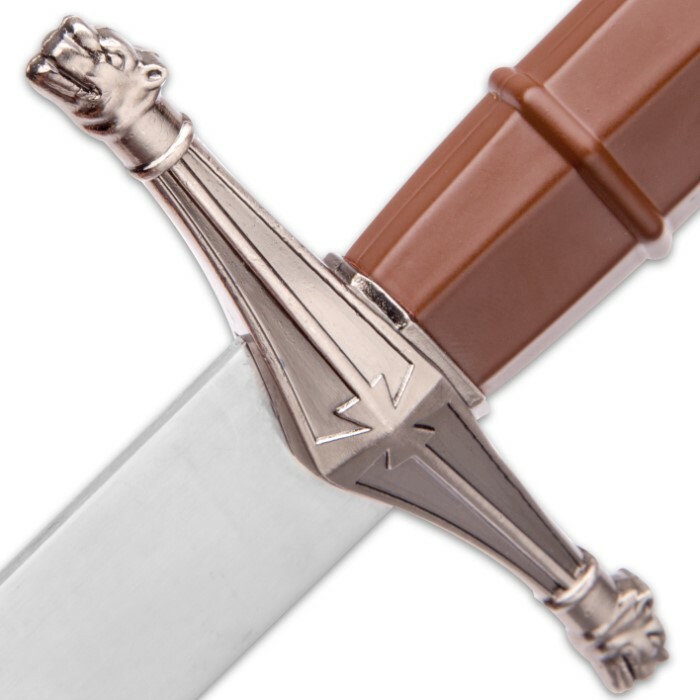 It has a 9 1/2” 420 stainless steel false-edged blade with a mirror polished finish, which slides just like a glove into a decorative ABS sheath with decorative Crusader themed metal accents. 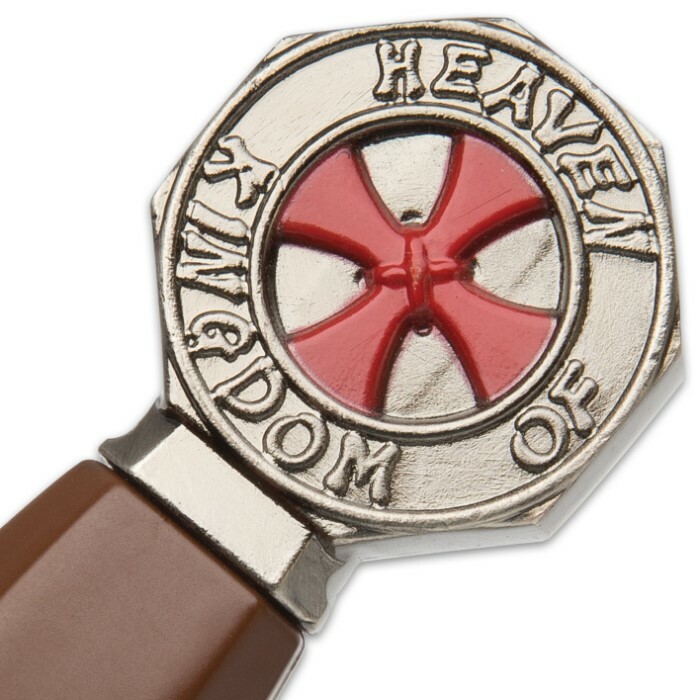 The ridged ABS handle has a metal pommel which features a red, equal-armed cross encircled by the words, “Kingdom of Heaven” and the pewter-look guard features a cross motif. 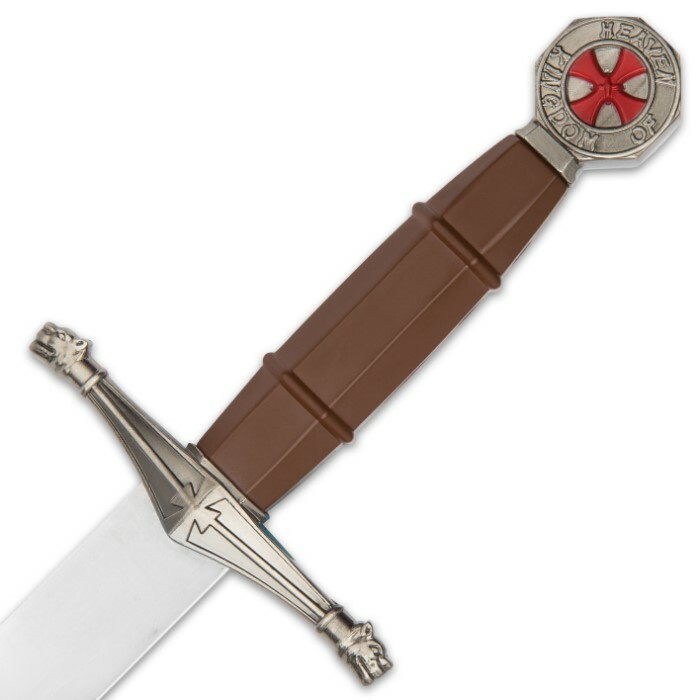 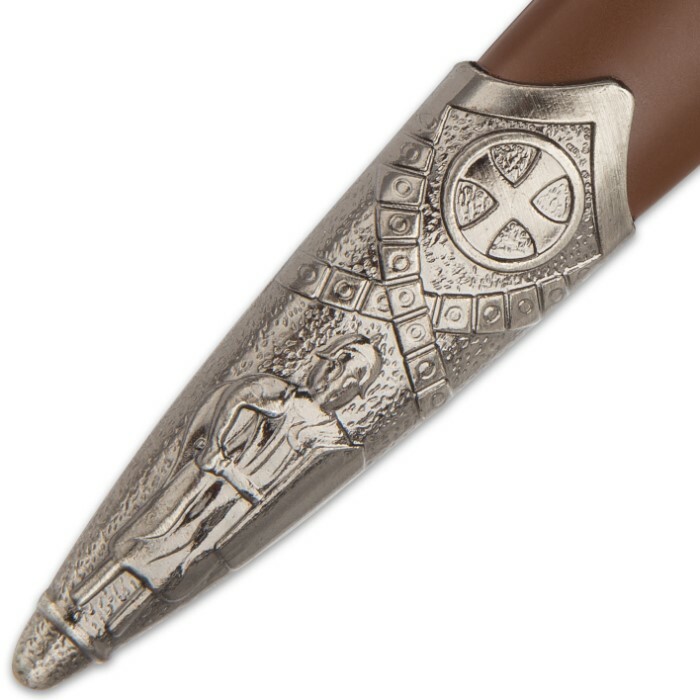 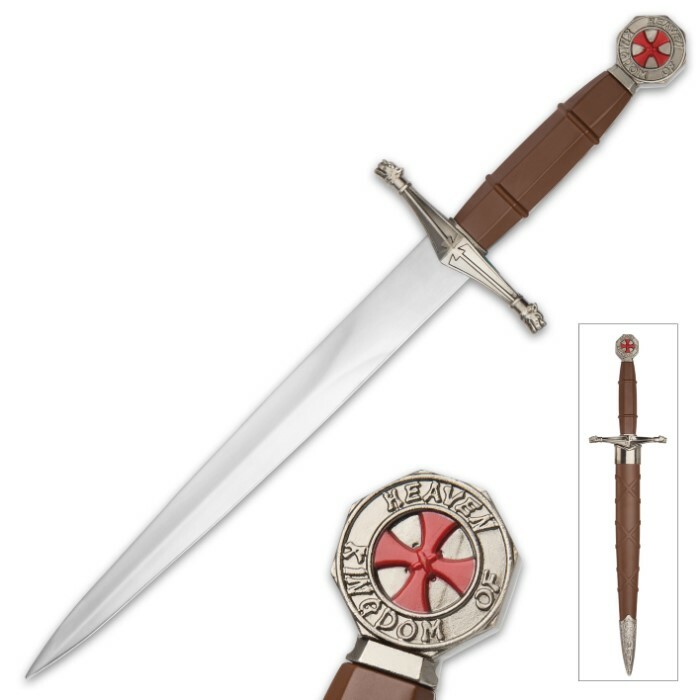 The Crusader Sacred Duty Dagger is an exceptional display replica for your desk at home or at the office.